HTML form value has to map to the correct C# property/object via Model Binding. Value submitted has to be properly validated based on Attributes or logic in controller. 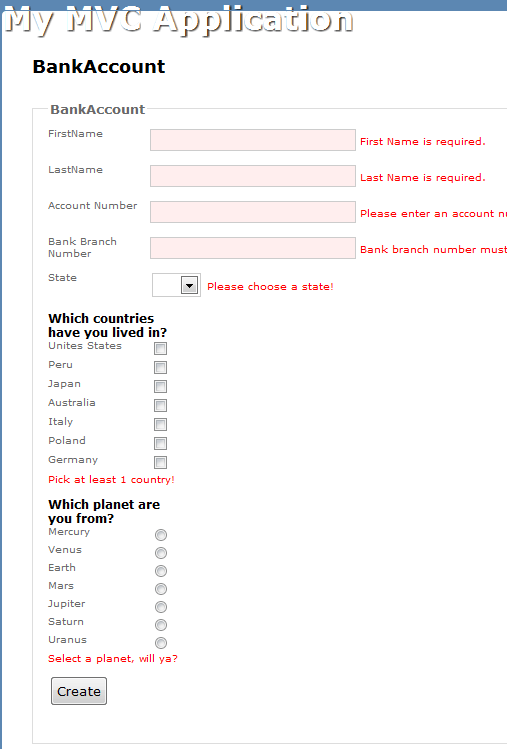 If the form has invalid data, the form has to refresh itself and be populated with all the values the user previous attempted to submit. The appropriate error messages have to be displayed next. The error messages can be part of the set of attributes above the property or handled via ViewBag/ViewData object. The following example has all that. 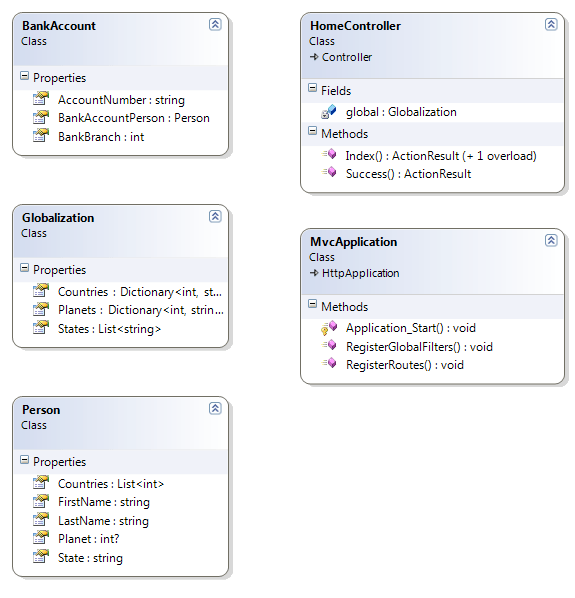 It also uses a ViewModel (BankAccount.cs) to piece together the main Business Domain Models (e.g. Person).